Did you know that the more involved you are in your own health care; your outcomes will be better and the costs you pay will be lower? Your participation in you health is important. Licensed Naturopathic Doctors are uniquely trained to see each person as a whole. We are taught to focus on prevention, and a key component of treatment is teaching patients to make lifestyle changes to improve overall health. I was trained to listen intently to the history of my patient, pay attention to the symptoms they are having, and ask about their lifestyle. I want to know about their sleep, their work schedule, their physical activity, how and what they cook and eat, what their family life is like, and what they do when they want to have fun. We know that 90% of Type 2 diabetes, 80% of cardiovascular disease, 70% of strokes, and 70% of colon cancers are potentially preventable by modifiable lifestyle changes. Research shows that for many people these conditions can be prevented or better managed through dietary and lifestyle changes—treatments that require patients to actively participate in their own care. 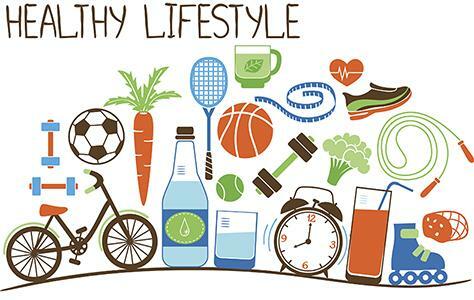 Is there any medication that works as well as a healthy lifestyle? Nope! As a Naturopathic Doctor, I have the tools and knowledge to teach patients self-care that will fit into their lives. By understanding a patient’s current lifestyle, I can encourage positive changes. The amazing thing is we keep hearing that a healthy lifestyle will not only prevent illness but is also a powerful tool that works better than anything else to treat disease. The problem is most people don’t want to do the work; they want a pill to cure it all, and that just does not exist. There are many sacrifices you may have to make. Like you are going to have to stop eating French fries and junk food and stop drinking soda. You might have to make yourself go to bed earlier. And you are going to have to move your body and push it to the point of discomfort. You might have to take some vitamins, learn to meditate, get more social, quit your job, or quit a bad relationship. Self-care is by far the most powerful medicine available. For all the hard work you put into yourself, you will reap huge returns. While you may think you are depriving yourself of the wonderful things in life, you will see that living an unhealthy lifestyle is the real deprivation. Because living below your healthy capacity is hard. It is hard to feel bad, look bad, and be sick. Healthy living is hard but being sick and unhealthy is also hard. You just need to choose the way in which you want to live your life. And when you are ready to make that change for what I think is the better, let me know. I am here to help you fit it into your life, encourage and empower you to be your best. That is how a Naturopathic Doctor is trained.